Peter A. Ruber, BSI, PSI passed away on March 6, 2014. Peter was born September 29, 1940. I have had no contact with him since 2004. He had a major stroke in 2005, and has been in long-term care since 2011. But Peter was absolutely pivotal in my learning and understanding of Sir Arthur Conan Doyle, Vincent Starrett, August Derleth, Luther Norris, Seabury Quinn, George F. Worts, H. Bedford-Jones and Bertram Fletcher Robinson among others. Austin McLean introduced Peter to me when I commenced my research on Vincent Starrett in 1994 along with Cameron Hollyer. I have many fond memories when we travelled together to Minnesota and visited the Sherlock Holmes Collection in Minneapolis. We were royally entertained by Allan Mackler at the time; Allan was full of book stories as well. Peter and I first visited Arkham House and April Derleth together in 1996. I helped him carry four boxes of books and manuscripts to the airport on his return flight; and Peter was appointed Editor of Arkham House, the following year. Kay Price extended her hospitality to both of us, and we planned many Derleth publications together for The August Derleth Society in Sauk City. Most, but not all of these can be found on their website www.Derleth.org. l have pleasant memories of countless long telephone conversations about a multitude of literary matters. During the course of preparing The Original Text Solar Pons Omnibus 2 volume edition, we had many heated discussions, and resolved many difficult points, but I believe the final published result was worth the effort on both our parts. Peter talked with me at great length about his publication on The Baker Street Gasogene in 1961-1962. He had plans for a regular journal, but that didn’t work out. He revised one of the articles to be his introduction to the book The Chronicles of Addington Peace by Fletcher Robinson. I well remember a meeting on a Friday morning in New York with Richard Lancelyn Green, Peter Ruber, Christopher Roden and myself in New York City. Richard had brought along his personal copies of Baker Street Gasogene for Peter to sign. 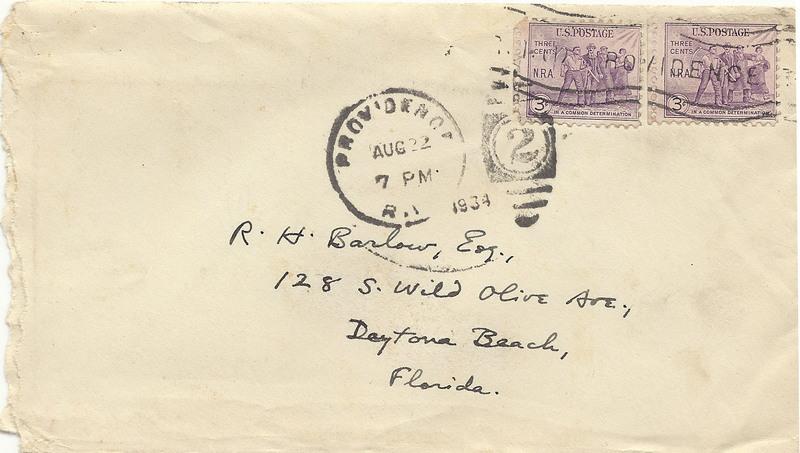 Richard had also brought along his file of correspondence between Michael Harrison and August Derleth. 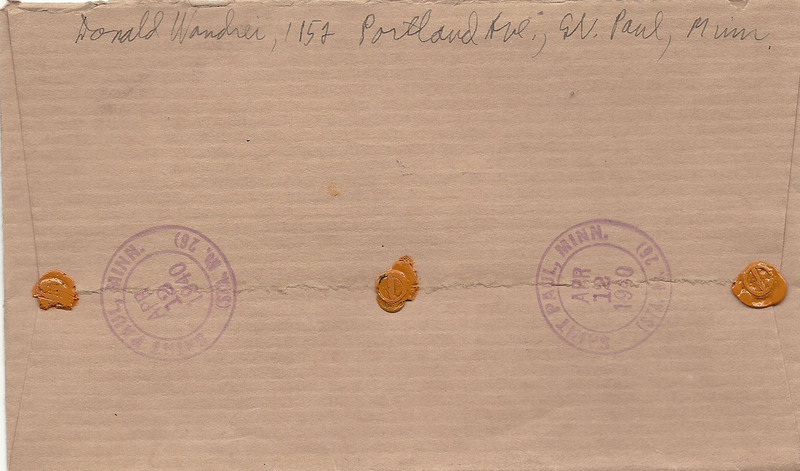 Peter Ruber also had a file of correspondence he had obtained from Arkham House archives. I was to meld the two and publish the results. Richard also noted there were some missing originals in the files of John Michael Gibson. 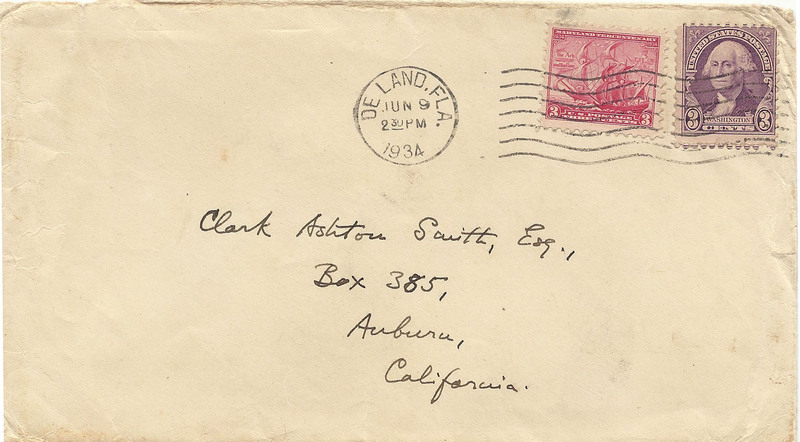 I did not have the opportunity to complete that correspondence until May 2012. But that’s another story, and the book is ready to go, introduced by David Hammer. I shall dedicate the volume to Peter Ruber and to Richard Lancelyn Green. At the end of breakfast, I adjourned to a second breakfast at The Harvard Club down the street with Dan Posnanysky. I learned later that Peter then presented a number of unpublished manuscripts by H Russell Wakefield which were subsequently published as Reunion at Dawn. But the conclusion to that story is an adventure for another day. Peter had also done research on the bibliography of George F, Worts. The last item I sent him was the two volume collection of Peter the Brazen. I have also been working a multi-volume collection of Gillian Hazeltine. Rodney Schroeder recently completed the huge editorial job, and the set should be ready for publication soon. I shall dedicate this volume to Peter. 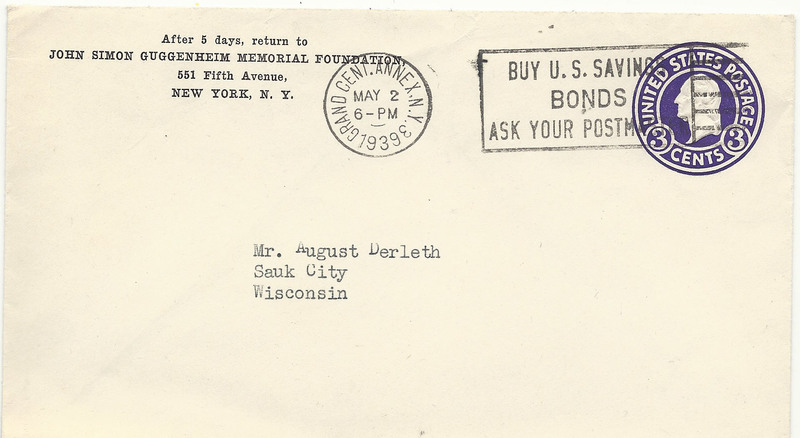 Peter also maintained a rich correspondence with August Derleth, after his first visit to Sauk City in 1962, This is all, now held in the archived of The State Historical Society in Madison Wisconsin. The Derleth archives is well worth a visit. 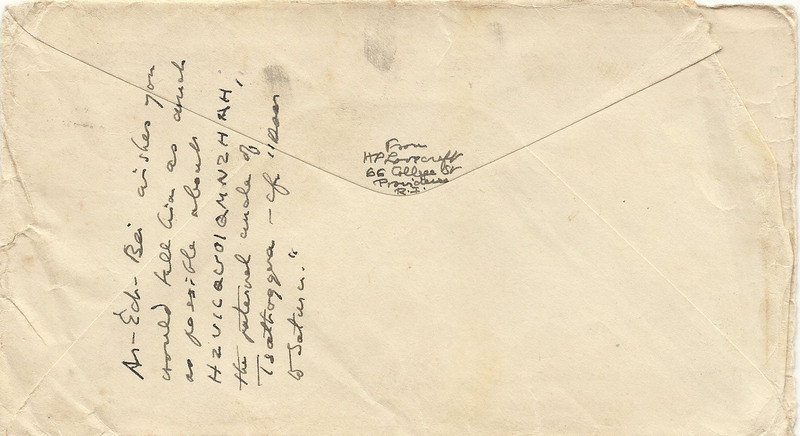 It contains a note scribbled to Derleth by Sir Arthur Conan Doyle. If you have trouble finding it, it is filed under “D”. Peter and I spent three days perusing this archive in some detail in 1996. Finally, Austin McLean introduced us, and I agreed to publish Ruber’s volume of Vincent Starrett’s poetry. (This is Volume 1 in the Starrett Memorial Library.) Peter sent me four manuscripts, which had been sitting on a shelf in his office since 1971, when his publishing company The Candlelight Press ceased to operate. I examined them in detail. 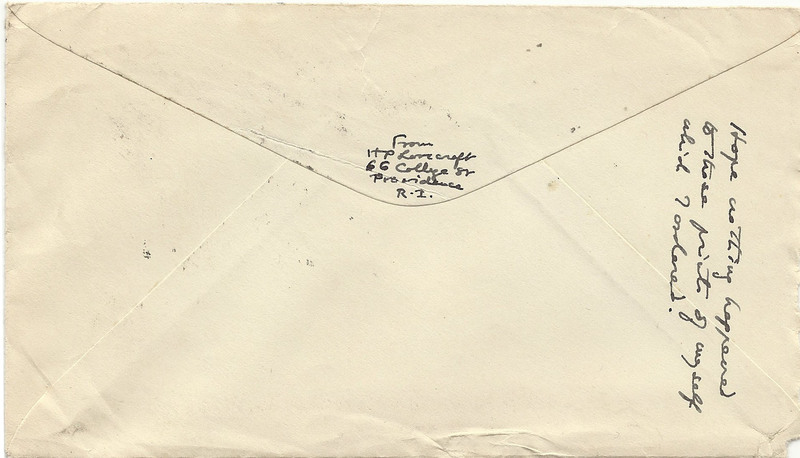 There was also correspondence attached, but in particular Peter had a letterhead logo for his Candlelight Press. You will find it in his version of the Last Bookman. I asked him if I could adopt it as my own since he was no longer using it. The answer was an unqualified yes. The logo had been designed by Henry Lauritzen featuring deerstalker hat, book, candle and pipe. Peter also noted that he did not like the title for my press, in fact he said it was awful! as well as too long! And so The Battered Silicon Dispatch Box press was born amidst controversy. Peter noted that Henry had created it at the same time as he did the illustrations for The Adventure of the Orient Express which was published in 1968. I well remember when Peter finally consented to let me publish, The Bibliography of H. Bedford Jones, tiled The King of the Pulps. We had talked about it for many years. Peter had two co-authors, Darrell Richardson and Victor Berch. Bedford-Jones was a Canadian, who lived and wrote in the USA. Bedford Jones was prolific to say the least. The rest of this story must be for another day — very complicated and convoluted, but the book was published and is still available. Many additional projects resulted after my perusal of this Bibliography. The Compleat Saga of John Solomon and The Exploits of Riley Dillon are two which immediately come to mind. In summary, Peter, R.I.P. it was a pleasure to recall our times together, and exciting to remember there are still projects, yet to be published, which will have your imprimatur on them, as well as Henry Lauritzen’s design. 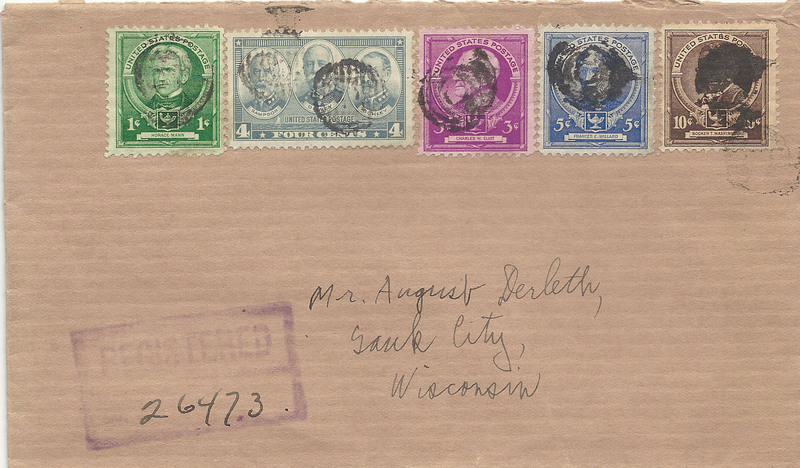 Posted by George A. Vanderburgh on March 15, 2014 in Arkham House, Derleth, August W., Doyle, Sir Arthur Conan, Pocket Lost Treasures, Sherlock Holmes, Starrett, Vincent E.